Do you struggle to peel soft-skinned fruits and vegetables with a standard straight blade peeler? Does the peeler blade just slip across the skin without cutting? With the Progressive International Fruit PeelerÕs special serrated blade itÕs easy to peel tomatoes, kiwi and peaches. 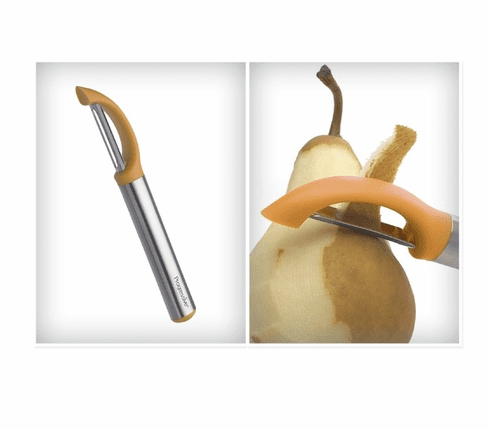 Fruit Peeler is perfect for use on any soft-skinned produce. Includes a pointed tip for removing potato eyes and other blemishes.